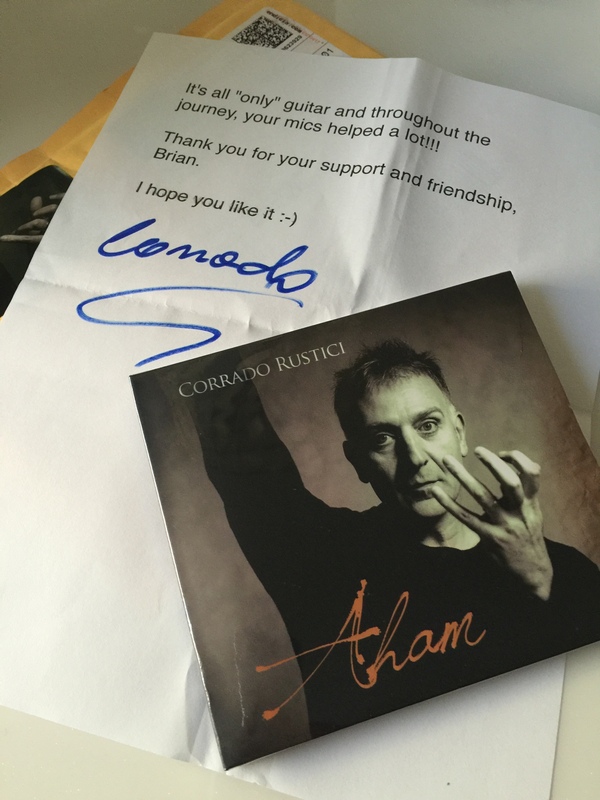 Some of my thoughts on Corrado Rustici’s new record, Aham. I’ve had the record for a month now and it has taken me more time than most to absorb due to the originality and complexity. If you don’t read long posts, just skip to the last paragraph and maybe you’ll come back up for the rest. Musically, people don’t come any more talented than Corrado. I’m no musician, I like every genre of music and I never critique publicly, but for the first time this one made me want to. I will say though, I don’t think I will fully appreciate what has been done here until I can sit down with Corrado and he explains how he accomplished what he did. Aham is an extraordinary forward thinking, artistic musical venture into the experimental realm of modern guitar. It creates a vision of true art, imagine your favorite abstract piece.. For those that don’t know, the entire record was created with guitars, nothing else except a couple tracks with vocals, which of course are human voices. Corrado did not use synthesizers, samplers or electronic instruments anywhere on the album! As someone who is often listening to the timbre of specific instruments this album challenges the aural senses beyond my comprehension. Why beyond? Because I have no idea the specifics of how they were created, yes I hear snare, a hi-hat, cymbals, kick, keys, strings, keyboards etc. etc. etc., but the reality and challenge to your senses is that they are not there, those are guitars, ALL GUITARS! The opening track, As Dark Bleeds Light, is conservative and safe, a bit of an outlier in my opinion relative to the rest of the record, great timbre and a smooth track and it gives us just a hint of what’s to come as it progresses. Upon entering track 2, Ananda’s First Steps, you begin to get drawn into Corrado’s story, the strings sway beautifully, wait, shoot, I forgot, those aren’t strings… and you hear some classic “Corrado Rustici” guitar riffs, the track fades beautifully. The Duke and The Hare, track 3, Corrado begins to almost literally speak to you with the lead guitar, rounding out the track are what you would think are keys, and a mellow 80’s drum kit, but of course we know there’s none of that. I love how the guitar talks and the timbre of the guitar is just at the point of distorting. Now track 4, The Guilty Thread, we enter Corrado’s foreign land, we get to hear Corrado’s softly aged voice and the fine details from his throat and chest, it’s nice. The guitar leads come and go with lightning like strikes at times, and we again get to hear classic Rustici whisking solo’s. The track is rounded out with more percussion which of course are guitar magic. The track ends like an intense dramatic movie with a long sustained guitar fade, wonderful. Track 5, Roots of Progression, appropriately named, enters with a brief reminiscence of Corrado’s Nova years. We are whisked away on a jazzy journey of percussion and guitar madness with interludes of sleek solo’s and breaks into a 70’s classic rock riff mixed with 70’s progressiveness, there’s even a couple snare riffs that remind me of 90’s speed metal and we end with an ultimate crescendo of sheer awesomeness. 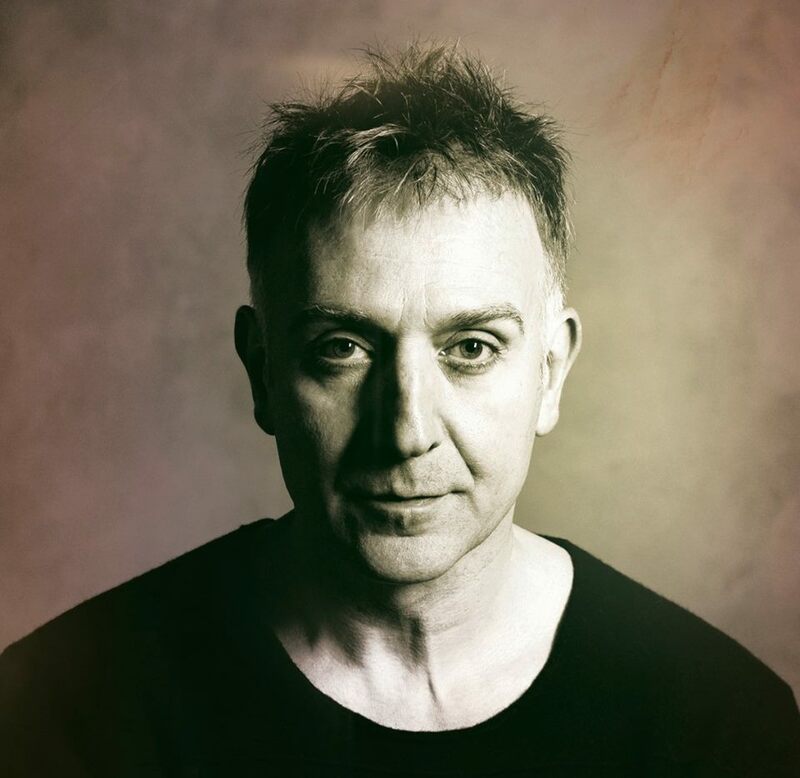 Track 6, Alcove of Stars, also an outlier, with guest lead vocalist Andrew Strong, we enter what I would call a very commercial tune that will no doubt end up on the sync market and carrying a movie or TV drama. It’s a beautiful and catchy tune that reminds me of a better than 80’s ballad with an insane amount of talent. Andrew’s voice is excellent especially when he pushes it. And finally we enter the Aham Suite, too soon in my opinion, because when tracks 8 and 9 are complete I was left wanting more, much more! Track 8 and Part 1, The Enquiry, sounds exactly like its title, I feel like I’m in some type of purgatory awaiting judgement, it’s scary with a timbre of insanity in its subtle intensity, it ends just before you feel like you’ll break. It’s musical art at its finest. Then the weight of our enquiry is lifted and we immediately enter Part 2 Aham. Corrado, you’re not singing? Perhaps not, but wow oh wow that guitar vocal is amazing, totally engrossing and absolute wizardry. Whether you believe in some type of after life or not, this track will take you there for 5 minutes and 47 seconds. Corrado’s soloing is perfect, he’s not bragging, but rather carrying you through a wonderland dimension of finality. Sadly you begin to feel the end is near as you hit the crescendo and the guitar passionately weeps as it gently sets you back down to reality. Damn that track is amazing. I’ve held back from over listening to it as I want to savoir its beauty.